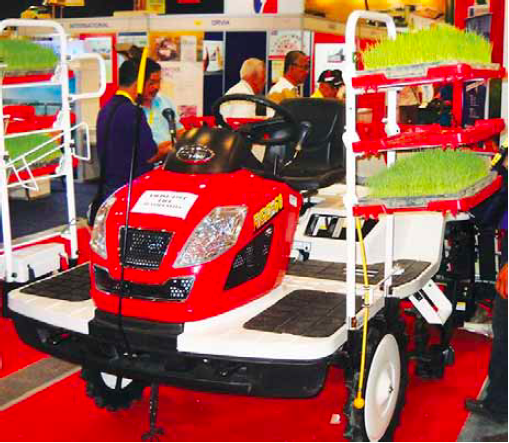 Agricultural machinery accounted for a major portion of the exhibits at the recent 2014 Agrilink, Foodlink and Aqualink show at the World Trade Center in Metro Manila. Exhibitors focused on showcasing the mechanization of rice farms in the country. A prominent promoter of this was the Korean Agricultural Machinery Industry Cooperative (KAMICO) of the Korean Pavilion, which took center stage, literally, in the exhibits’ Main Section. Established in 1962, the co-op has some 500 agricultural machinery manufacturers as member-companies, including small, medium, and the five biggest firms. The South Korean government has, in the past, entrusted KAMICO with developing and improving that country’s agriculture and agricultural machinery industry, with the farm mechanization business as one of its primary responsibilities. 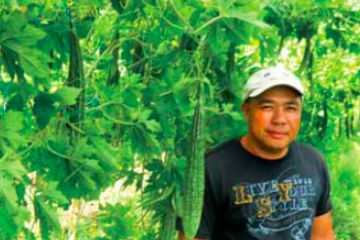 Today the co-op is exporting its technologies to countries like the Philippines. 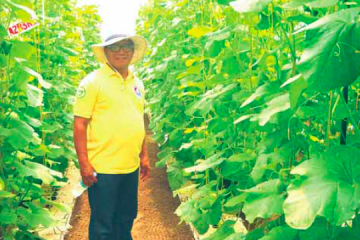 from the Cagayan Valley Region’s Isabela Province shared how the KAMICO way of producing rice made him completely turn around in his attitude towards farm mechanization. He also thanked his son, who showed him and all the other rice farmers in their town that mechanization pays. In land preparation, the KAMICO way is to plow and harrow dry land using a tractor and to provide irrigation only in the final preparation stage prior to planting. 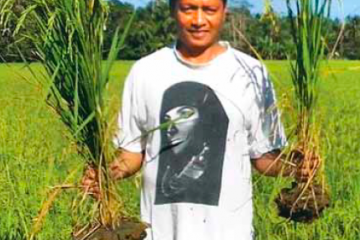 Meanwhile, workers sow seeds, but not on seedbeds, from which the young rice plants are often difficult to take out for transplanting because of too much rooting; in addition, there are more labor costs involved. The workers sow the rice seeds on shallow trays filled with soil pulverized by a machine and laid out on a concrete pavement. The special design of the trays, which have a standard width required by mechanical transplanters, enables easy detachment of the seedlings for transplanting. Transplanters are of two types: the smaller walk behind machine, which can plant a hectare in two days, and the bigger ones which the operator can ride, which can plant three hectares in just one day. In the early stages of the rice plants’ growth, workers employ power weeders to promote faster rooting and efficient tillering. Fertilization is by mechanical spreaders and power sprayers for the foliar types. Harvesting is with a machine that reaps, gathers, then threshes the palay. KAMICO exhibited its land preparation attachments for tractors, transplanters, and power weeders. productive. Its distributor exhibited a 4-row rice transplanter and a 3-in-1 harvester that reaps, gathers, and threshes palay at the Agrilink’s outdoor section. milling machine, an ilang-ilang oil distiller, and a village-level coconut water pasteurizing setup. Economical biomass-fueled grain dryers were also prominent in the Agrilink exhibits. Drying grain is a major issue that presents particular problems in humid, tropical climates, particularly during the wet season. Drying practices can have a big impact on the quality of grain or seed produced. In the Philippines and other tropical countries, grains such as rice and corn are traditionally sun-dried. 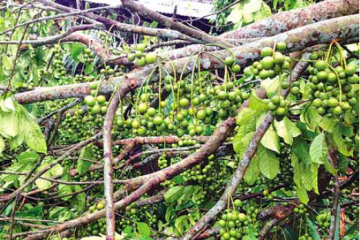 While practical in the dry season, this is problematic in the wet season. Unless grain is properly dried, there can be severe losses in both quantity and quality during storage. These quality changes take the form of yellowing rice grains, lower milling yields, and reduced lysine content (an essential amino acid). In corn, improper drying can lead to greater problems with aflatoxin, a toxic compound of fungal origin. Drying reduces grain moisture content to a safe level for storage. It is the most critical operation after harvesting a rice crop. Delays in drying, incomplete drying, or ineffective drying will reduce grain quality and result in losses. At harvest time, rice grains typically contain between 20 to 25 percent moisture. At such high moisture content, there’s increased natural respiration in the grain that causes it to deteriorate. The purpose of drying is to reduce the moisture content of rough rice to a safe level for storage. As even the short term storage of high moisture palay can cause quality deterioration, it’s important to dry the grain as soon as possible, ideally within 24 hours after harvesting. Drying involves exposing grain to ambient air with low relative humidity or to heated air that will cause moisture to evaporate, removing it from the grain bulk. In general, farmers need money immediately. At harvest time, especially during the rainy season when it’s difficult for them to dry their crop, they sell their palay wet; it’s up to the purchasing private traders, cooperatives, or grain processors to dry the palay. 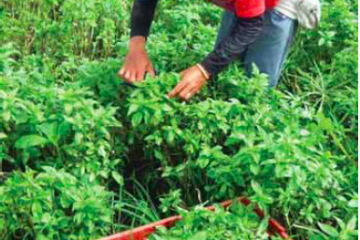 Members of cooperatives sell their produce to either their co-op—which extends production loans to them and requires them to sell their newly harvested palay to it in exchange—or to private traders who offer a higher price. The introduction of high-yielding hybrid seeds and the adoption of advanced production technology has given rise to more problems in drying grain in the wet season. Sun drying is no longer adequate for drying large quantities of wet palay, especially at the peak of the harvest period. Double cropping has increased grain production during the wet season, thus adding to the problem of drying. Cooperatives and grain processors use mechanical dryers that are typically flat-bed types with capacities of 1-6 tons, or batch recirculating dryers with 6-10 ton capacities. There are very few continuous-flow dryers in use. 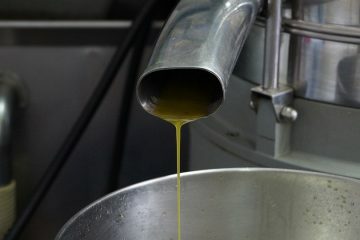 Most of the private traders use batch-recirculating dryers, more than half of which are oil-fueled. Because of the high cost of oil, many of them are now switching to biomass-fueled dryers. These machines incorporate the key elements of a good dryer, achieving the best grain quality with the use of low temperature and even drying to ensure this. They also enable the users to attain the lowest drying cost with the use of biomass as fuel, savings on labor costs, and fewer site and equipment maintenance required. Use of the dryers results in high-quality rice with a high selling price because of low breakage rates. Multiple safety devices ensure easy and smooth operation. A company in the Korean Pavilion, Shin Heung Industry Co., exhibited the smallest model of the three rice husk furnace dryers that it manufactures and markets. The model has drying capacities of 2-6 tons for palay and 2.4-7.5 tons for corn, and a drying rate of 0.8 to 1.2 percent per hour. Like the two other models marketed by the company, it features full automatic controls. The Suncue Company of Taiwan did not exhibit its biomass dryers but maintained a booth manned by its regional representative Francis Tenchavez. According to him, the company has sold hundreds of its dryer sets in the Philippines, mostly to big processors of rice and corn. With more than 40 years of experience, Suncue has become the leading brand for grain dryers, gaining markets in over 30 countries worldwide, including Japan, Korea, India, Indonesia, and other Asian, European, and Latin American countries. Suncue grain dryers hold more than 70 percent market share in Taiwan alone, where its manufacturing complex produces dryers for export. Another facility in China exclusively serves that country’s market only. In order to help farmers and rice millers economize on fuel costs, Suncue manufactures its patented SB-series husk furnaces that can use rice hulls to produce thermal energy for the drying process. SB-series husk furnaces use an indirect hot air system, which means these use clean hot air to dry the grains to avoid contaminating them. It has a fully automatic design which allows the furnace to automatically feed husk, discharge ash, and control the hot air temperature and volume in every dryer. Suncue’s rice husk furnaces have been proven to reduce fuel costs by up to 75 percent and have passed strict air pollution standards in both Taiwan and Japan. The SB-series dryers can also use wood chips, coconut shells, and corn cobs to produce thermal energy. Low-cost and environment-friendly, Suncue’s SB-130 furnace uses 2.5 kilograms of husk instead of a liter of diesel, saving up to 640,000 liters of diesel per year. The carbon dioxide emission of diesel is 2.7 kilograms per liter while the net emissions from rice husks is zero, enabling an SB-130 set to reduce CO2 emissions by up to 1,726 tons per year, or what 86 hectares of forest can achieve. The drying cost is only 25% compared to that of a diesel-fueled operation. The husk from a ton of palay can dry approximately three tons of the wet grain, attaining maximum thermal energy from a minimum input. Fully automatic, with computerized auto temperature and husk feeding and ash discharging controls, Suncue dryers passed air pollution standards for environmental testing in Taiwan and Japan, where it has obtained patents; it has also obtained patents in the United States. SB-130’s stainless steel heat exchanger ensures high temperature resistance and long durability. Moisture balance is attained in its tempering bin, and automated drying at constant temperature in its drying section. Rotary valves circulate the dried grain, take this to the bucket elevator by the bottom screw conveyor, and take this up to the tempering bin again. Aside from the Excellence Award obtained in Taiwan in 2010, Suncue has garnered the Gold Medal at the iENA 2012 in Nuremberg, Germany, and the Genius Gold Medal and Special Genius Award at the 2013 World Genius Convention in Tokyo, Japan. Other agri-machinery distributors at the Agrilink exhibited farm tractors. This appeared in Agriculture Magazine’s December 2014 issue.